Parking for vendors night only: $16 nearby and $6 within a couple of blocks. 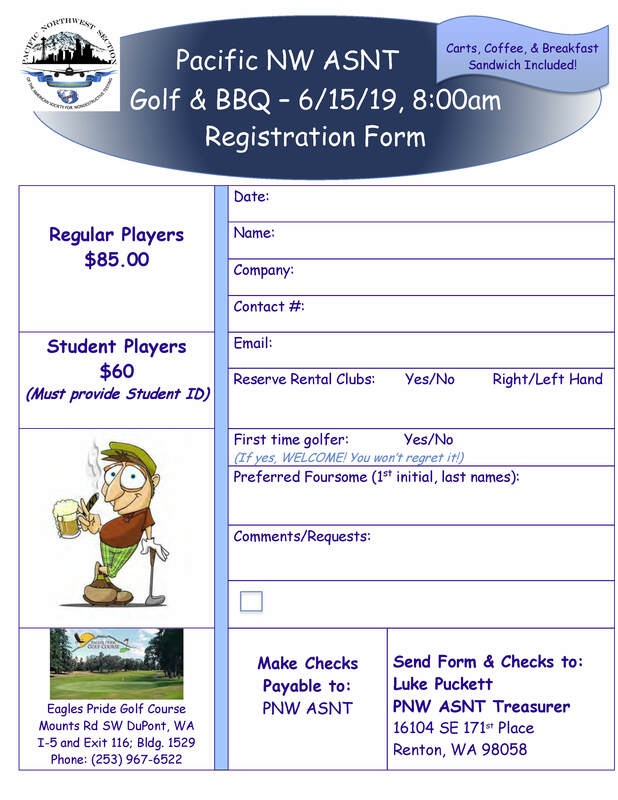 Golf Scramble at Eagles Pride Golf Course | June 15, 2019. Invite your father for a fun day out! Golf flyer Register you and your four-some here. 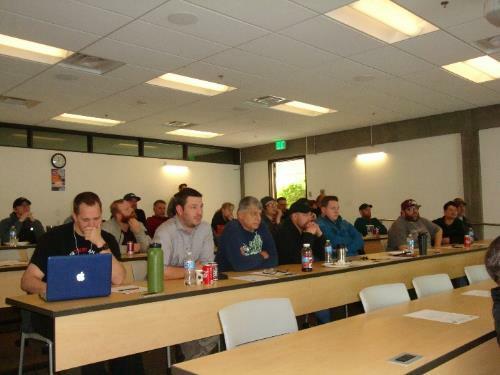 On April 6, 2019 a Radiation Safety Refresher seminar was sponsored by the Pacific Northwest Section of the American Society of Nondestructive Testing ASNT). 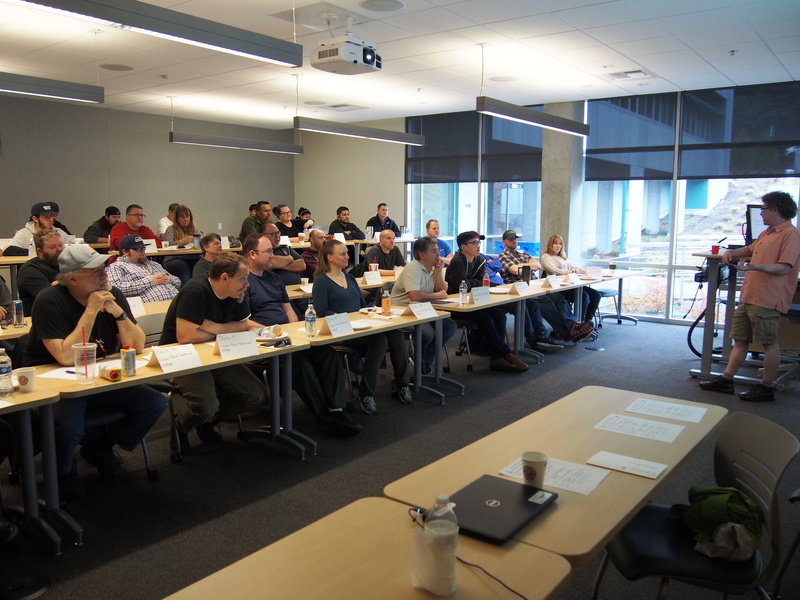 Twenty-four local radiographers attended the event at room B104 on the Bellevue College campus. Speakers Bruce Busby, CHP RSO at Fred Hutchinson Cancer Research Center, Jon Napier of the Washington State Department of Health, Radioactive Materials section, Fred Mauss of Pacific Northwest National Laboratories and Jim Bemis, West Coast Regional RSO of Mistras Services were introduced by seminar Chairman Emery E. Roberts. 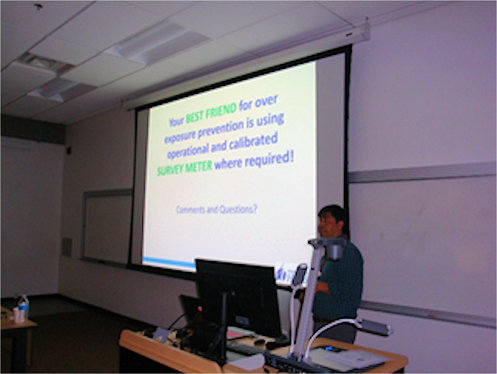 Each gave a lively and interesting presentation dealing with the topic of radiation safety. This was Bruce’s 16th year as a speaker and each year’s presentation has been just different enough each year to be continually interesting. The last couple of years his presentations have been interactive with the audience via an online quiz utilizing attendees cell phones. 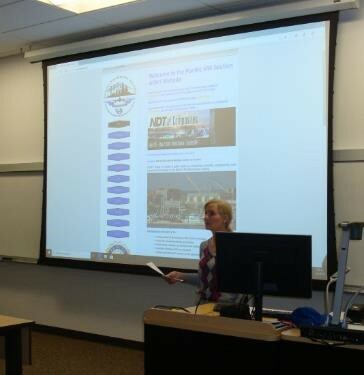 Section Chair Kathy Ferguson opened the seminar with an introduction and purpose of the Section. 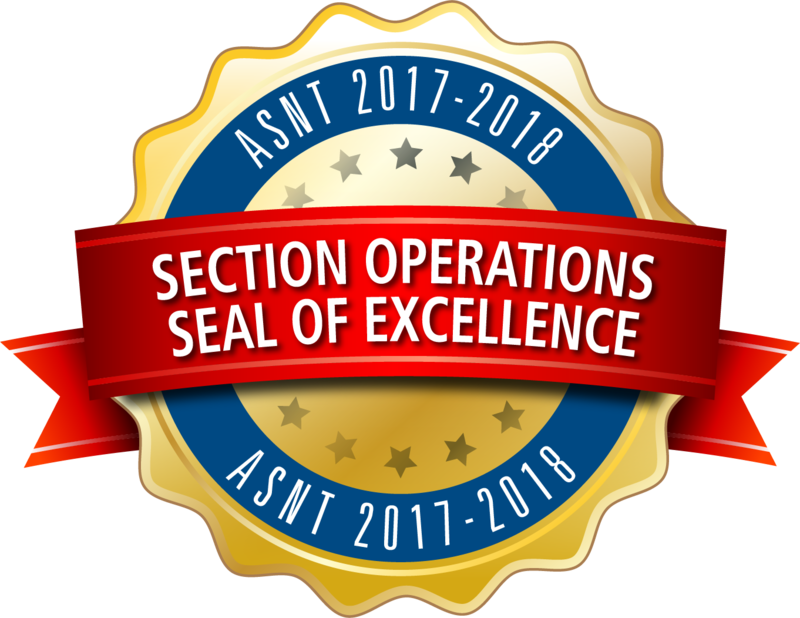 ASNT membership applications were available and people were encouraged to attend a future meeting of the Section. Luncheon platters of sandwiches and sliders of Roast Beef and Cheddar, Thai Chicken Wraps, Ham and Swiss, and Amarillo Turkey and gluten free selections were provided the attendees at lunch. 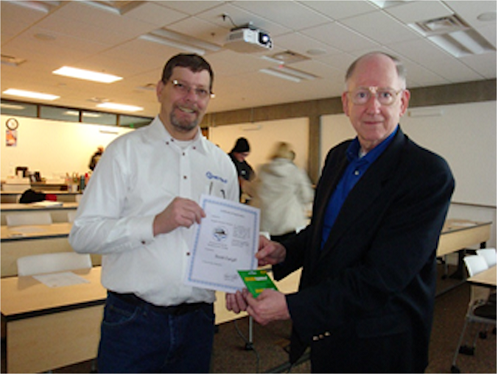 Speaker Bruce Busby (l) receives section Challenge coin, certificate of appreciation and Region 16 yearbook after his presentation from Seminar Chair Emery E. Roberts (r). 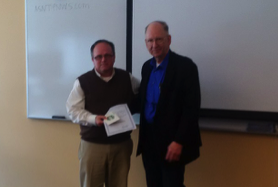 Fred Mauss (l) receives honorarium of Certificate of appreciation, Section Challenge coin and Region 16 yearbook from Seminar Chair Emery E. Roberts (r). 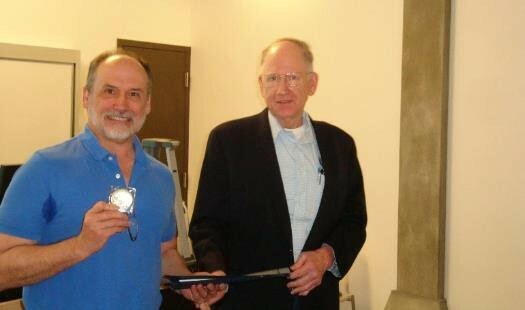 Jim Bemis (l) receives Certificate of appreiciation, Section Challenge coin and Region 16 Yearbook from Seminar Chair Emery E. Roberts (r). Some of the 23 attendees listen attentively to Jon Napier from Washington State Department of Health, Radiation Protection section. 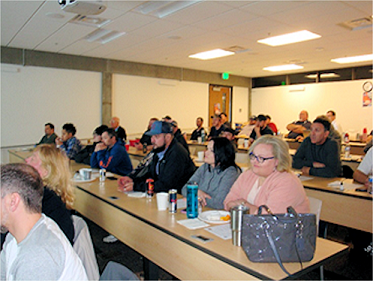 On April 7, 2018 34 attendees from the Pacific Northwest section of ASNT and surrounding areas attended the annual Radiation Safety Refresher seminar. This seminar assists local radiography companies in compliance with State and NRC refresher for inductrial radiographers. 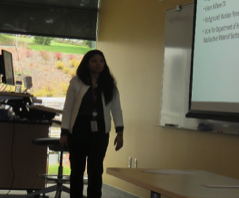 Speakers were Bruce Busby, MS, CHP, Radiation Safety Officer of Fred Hutchinson Cancer Research Center, Raj Maharjan, Radiation Health Physicist from WA State Dept. 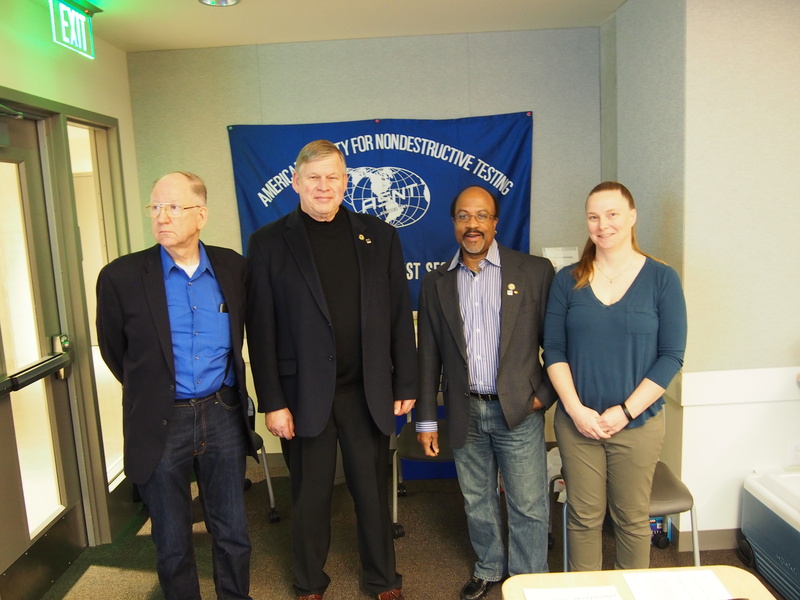 of Health, Aaron O’Malley and Fred Mauss of Pacfic Nortwest National Laboratories, and Scott Cargill ASNT Vice_president and IRRSP vice-chair. 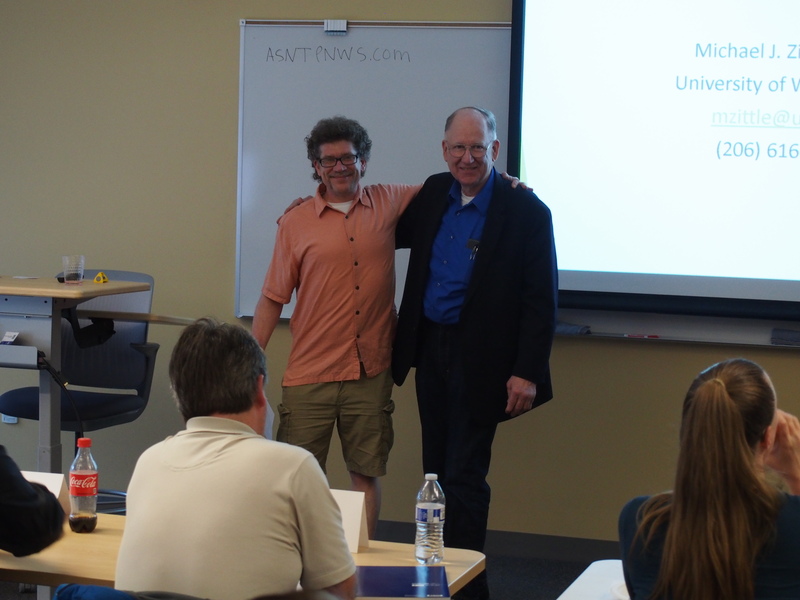 Bruce spoke on radiation basics from atomic structure to dosimetry and case histories of radiation incidents. 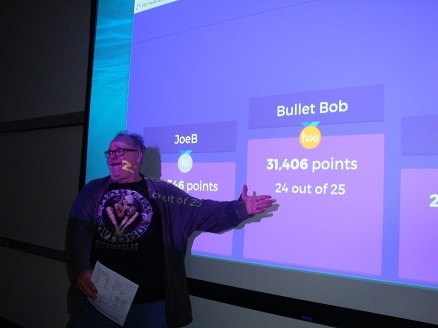 Bruce concluded his presentation with a interactive game of Industrial Radiation Safety Basics on Kahoots. Cell phones were used to access the Kahoots web site. Users then answered questions from their cell phone. 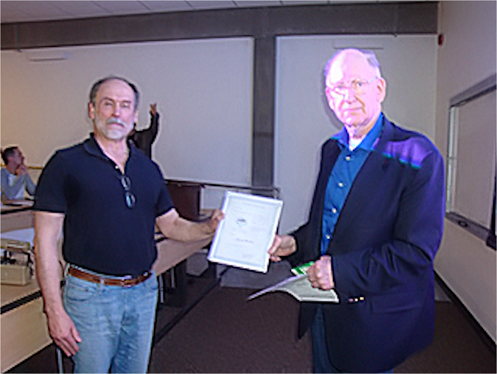 Bob Madden of Oregon Washington Laboratories (OWL) was the games overall winner. 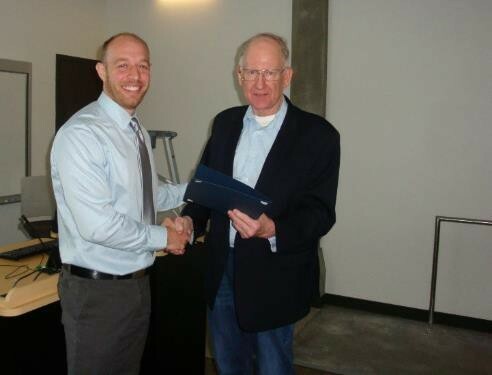 One of the student participants also was awarded a 1 year student membership. A sumptuous lunch was catered by Ingallina’s Box Lunches of Seattle, WA. Afternoon speakers were Ray Maharjan of Washington State DOH, Aaron O’Malley and Fred Mauss of Pacific Northwest National Laboratories, and Scott Cargil, ASNT Vice-President and IRRSP Vice-Chair. 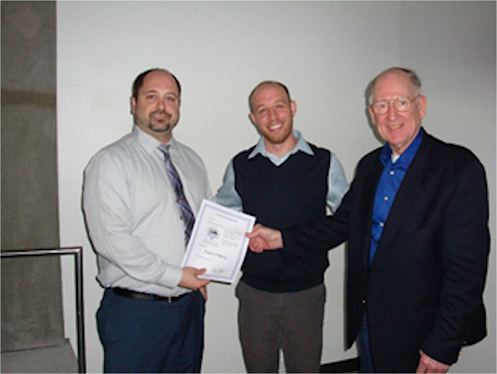 Bob Madden was the Radiation Safety games winner and won the prestige and a renewal of his ASNT membership. 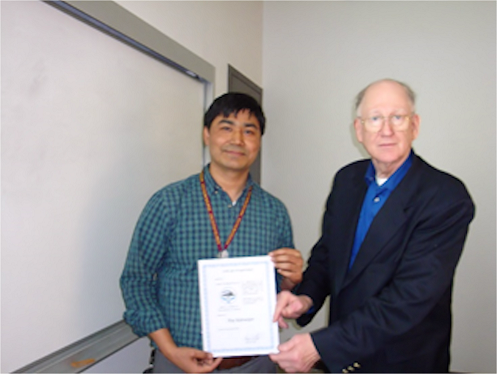 Raj Maharjan, Radiation Health Physicist from WA State Dept. of Health. The 2017 Golf Scramble was another successful event! Jeff, Kathy, Luke, Chuck, Lise, Chris, Roy, and Flynn would like to thank all of you, the participants, for coming out and helping us have another great golf tournament, which raises funding for our Section NDT Student Scholoship Awards. This year we doubled the prize money, every registrant got a PNWS stainless steel water bottle and a cozy cup cooler, as well as, one mulligan and two raffle tickets. In addtion, everyone got free drink coupons to go with the fantastic buffet banguet lunch which we all enjoyed together after the game, along with a lot of laughs! In fact, the President of one of our long time dedecated sponsors, who had never golfed before, came out to try his hand at the game, and had a wonderful time. Afterwards he told us that he had not laughed so hard in a very long time. We also had a few other first timers who reported similar experiences. So now we expect to see them all at our future golf events. Speaking of the future, apprently due to schedule conflicts and vactions, the total turn out was (7) foursomes (28 players) which was a little less than in previous years. But on the other hand, we saw a significant increase in Sponsorships. So all together this allowed us to maitian our margins which will again allow us to award two NDT Student Scholarships next year. (See the Education page for this year's recipients). All-in-all we took things up a notch and it came out a success, however we know that we can always do better. So we will be asking for suggestions from the membership about where to go with this event in the future. Slide Show Link See some great moments of a great day which has become a Pacific Northwest Section storied tradition! 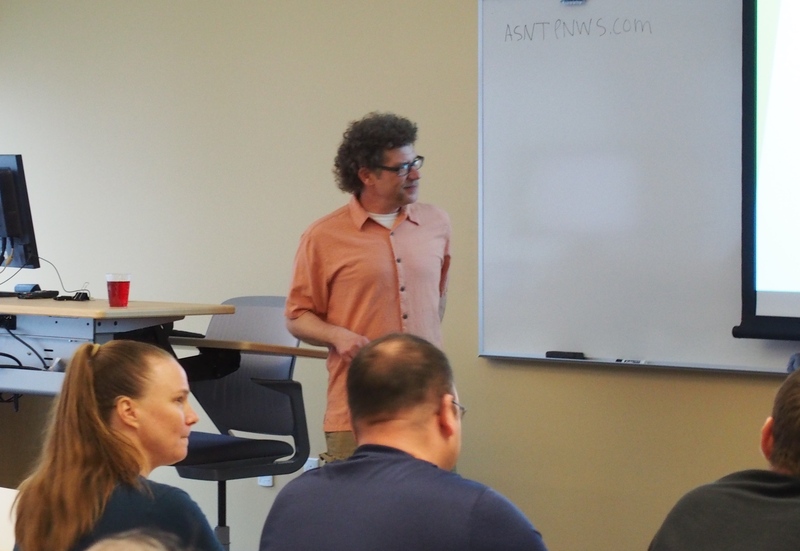 The PNW ASNT Section co-hosted, yet again, another successful topical on NDT of Composites. This was the third year for this very informative and well attended event. 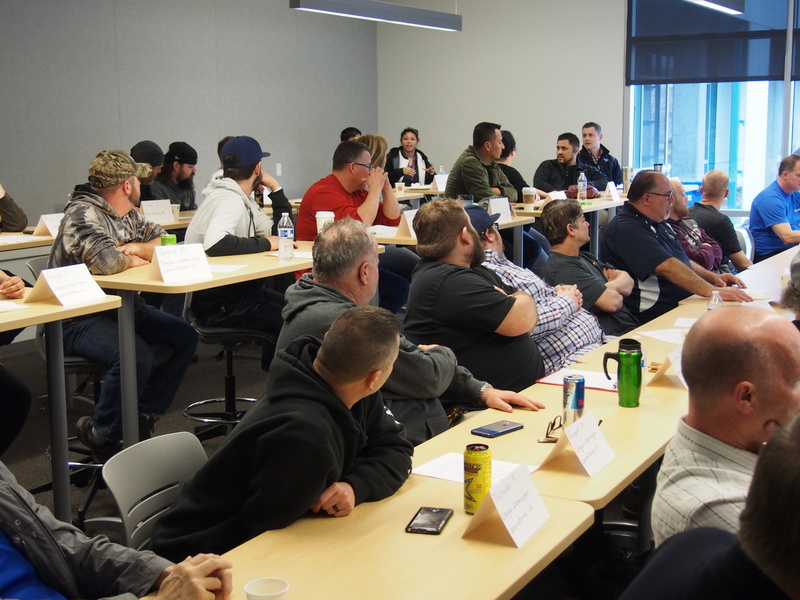 NDT managers, reseachers, developers, technician practitioners, and students from various composite industry sectors, throughout the world, came for this richly informative two day topical. 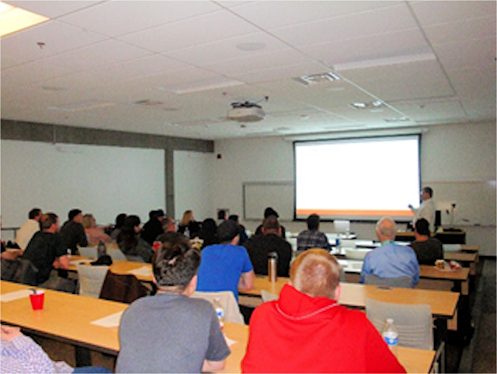 The attendees were treated to very robust speaker sessions over both full days, and during the breaks, and one evning, several key NDT techncology vendors exhibited their advanced NDT solutions for inspecting composite structures. There was a total of 123 diverse composites industry participants who made this conference extremely interesting, relevant and educational, as well as a very enjoyable time for all. 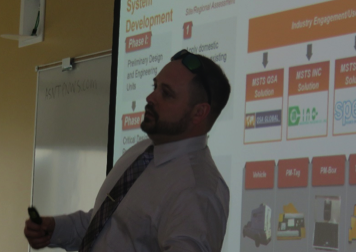 Mr. Steve LaRiviere, a former PNW Section Chair and now key Quality Manager at the Everett Washington Boeing 777X facility, served as our esteemed Key Note Speaker for the event. Mr. LaRiviere spoke on the importance of NDT for composites, future plans for the 777X design and NDT program, and paid homage to the long and storied legacy of Boeing's NDT pioneers. The Pacific NW Section program committee of Dr. Gary Georgeson, Flynn Spears, Kathy Ferguson, and Jeff Siegel, along with the ISC Conference staff of Christine Schnitzer and Ruth Staat, as well as the very helpful local NDT Students from Clover Park Community College, all combined to, once again, put on a great event. Highest Attendance in 20 Years!! 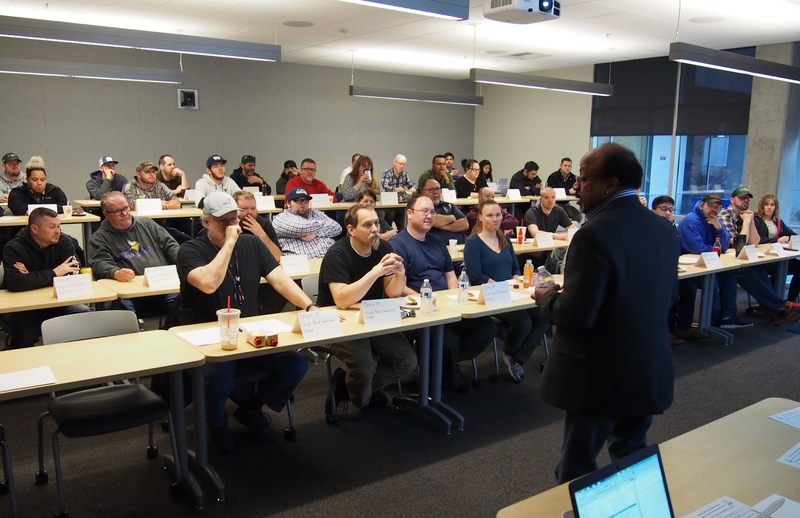 Held in a brand new venue at Bellevue College's beautiful new Science and Technology building, there were 44 total attendees at this year's Radiation Safety Seminar. 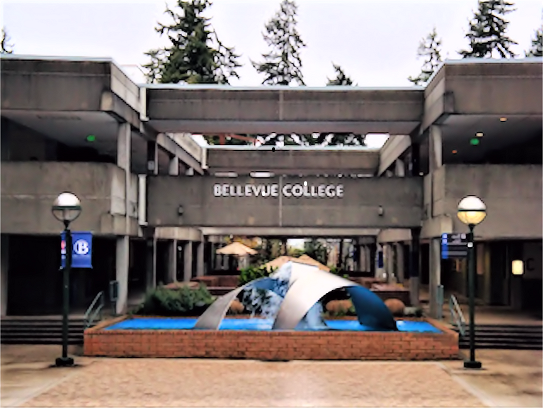 General Dynamics-OTS, Hexcel Corp, PM Testing Lab, Seacast Inc., ATI Specialty Alloys and Components, Mistras, Oregon Washington Laboratories LLC, Global Diving & Salvage, Oregon Washington Laboratories LLC, Clover Park Technical College, Western Pneumatic, and Blue Origin. 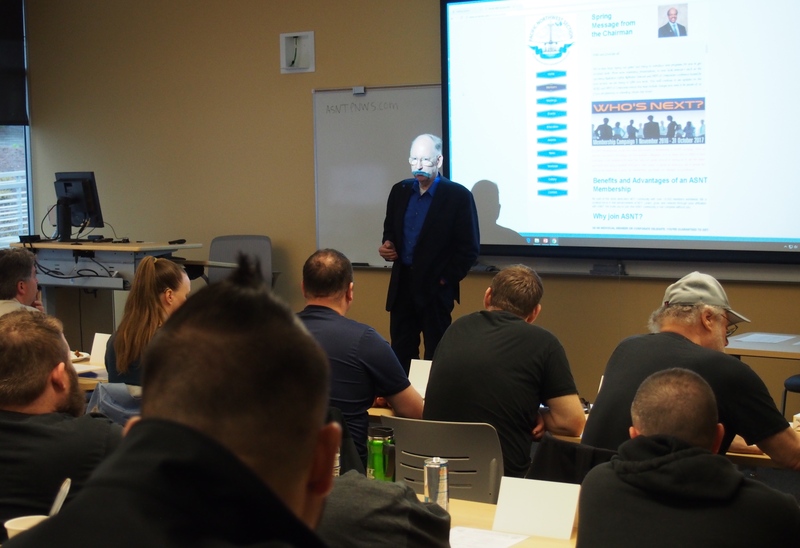 Dave Hall - ETM Inc.
Our Chairman Flynn Spears welcomes the class and provides an overview of the Pacific NW Section. 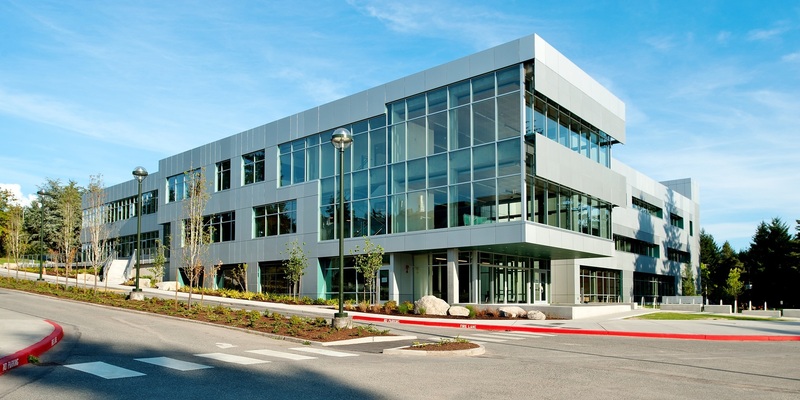 The beautiful new venue Science & Techncology Building at Bellevue College. 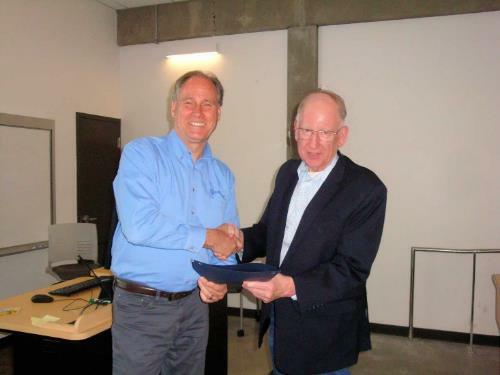 Emery Roberts, Mistras Level III, Region 16 Director, PNWS Secretary (right) presents the PNWS Speaker Appreciation Certificate and gifts to Bruce Busby. Bruce Busby of the Fred Hutchenson Cancer Research Center, gives a very interesting and informative presentation on the health effects of Radiation. 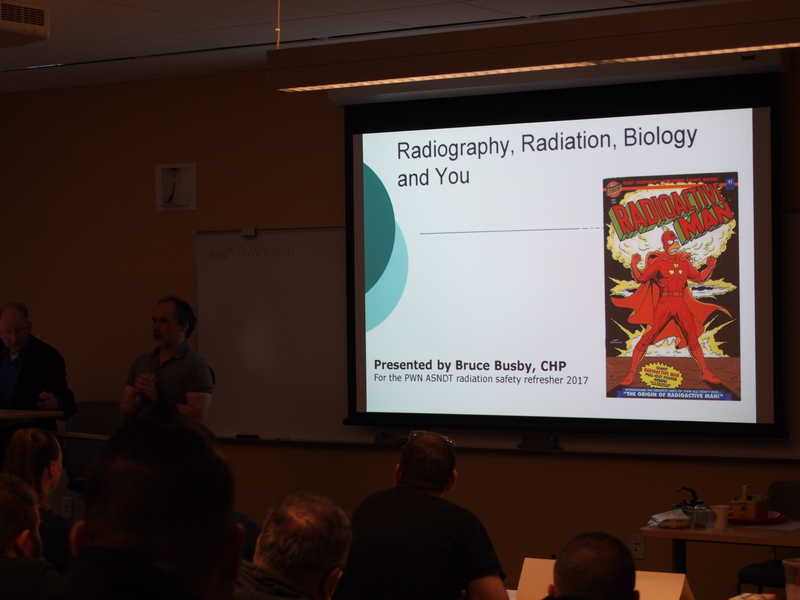 Mike Zittle of the University of Washington Health Physics Department presents Radiation Safety from an HP's perspective. 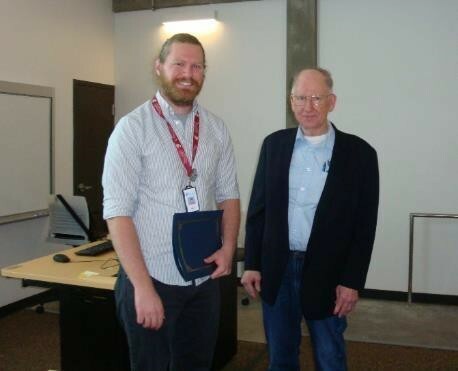 Emery Roberts, (right) presents the PNWS Spepaker Appreciation Certificate and gifts to Mike Zittle. (Left to right) Emery Roberts, Dave Hall, Flynn Spears, Dina McRae along with Kathy Ferguson, Chris Maraschky and Jeff Siegel (not shown) were the Board Member Volunteers that helped make this event go so well. 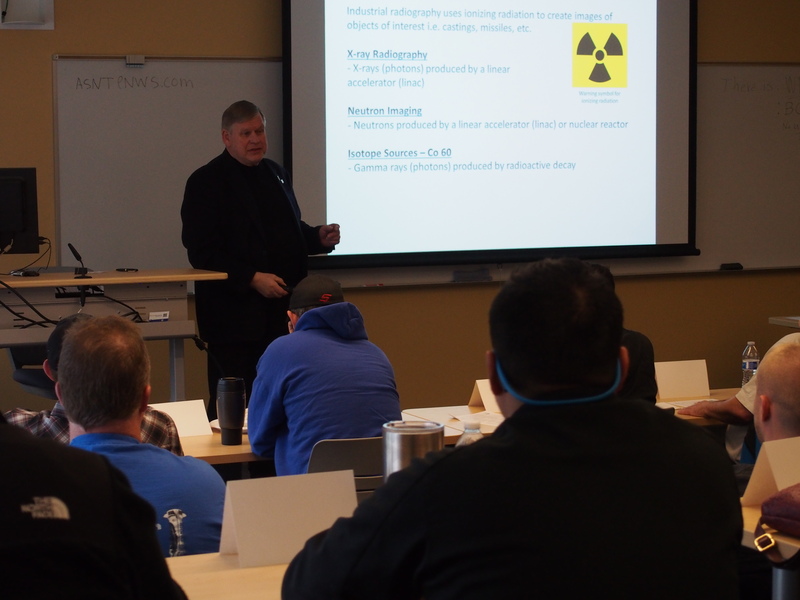 Dave Hall of ETM Inc. (Electromatic Incorporated), and the PNWS Student Scholarship Chairman, gives his presentation on Radiation Safely relative to X-Ray Tube Radiography. Emery Roberts, the RSO for Mistras in Kent WA, and the RSRS Comittee Chairman who has been organizing this event for the last several years, addresses the class and introduces the speakers. Steve Matthews, Radiation Protection Manager for the State of Washington introduces his seated co-workers Morgan Munera (l) and Raj Maharjam (r). Morgan Munera (l) introduces Raj Maharjam (standing, r) from Washington State Dept. Of Health, Radiation Protection Program. 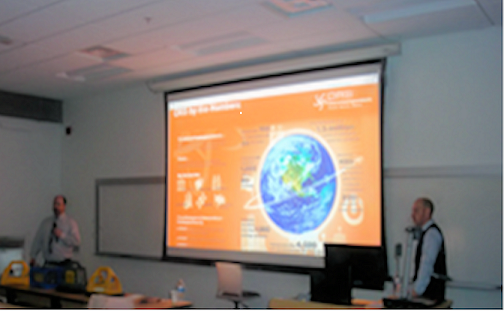 Dave Crocker of QSA-Global introduces Small Controlled Area Radiography or SCAR to local radiographers. 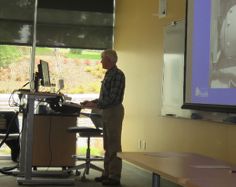 Mike Zittle, the Chief HP, Alternate RSO for the University of Washington Environmental Health and Safety, Radioactive Materials Compliance Program, entertains some thoughtful Q&A from the class. 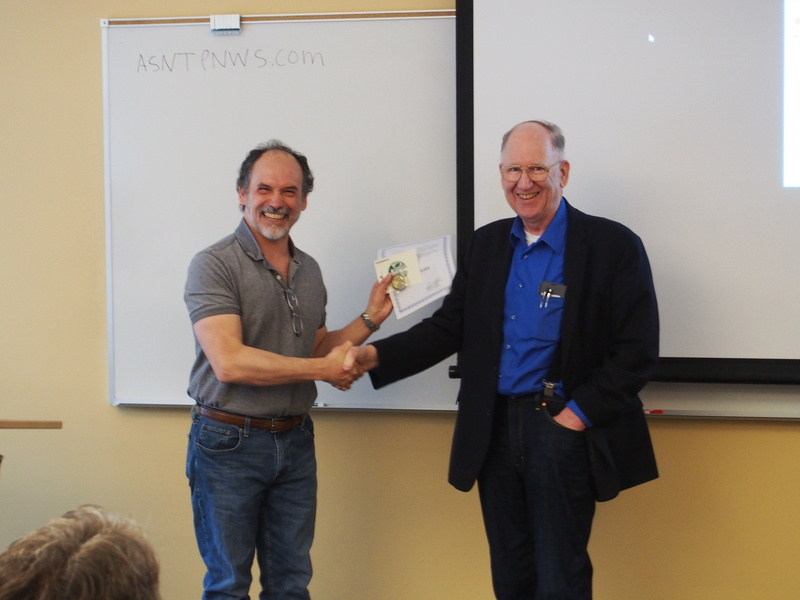 Marty Anderson from Global Diving and ASNT CMC explained that the IRRSP testing program is now computer based (CBT) and receives a certificate of appreciation, Starbucks gift card and section challenge coin from seminar Chair Emery E. Roberts (r). 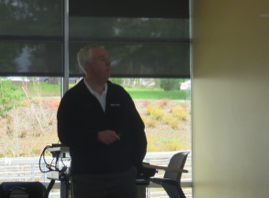 Aaron O’Malley from PNNL explains proposed security changes to exposure devices and transportation of them. 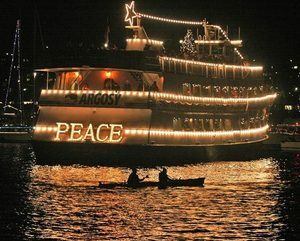 The Pacific NW membership was invited for dinner at the Imanema Grill in Belltown and/or to go on the Argosy Christmas Ship for hot toddys, sight seeing, and a Christmas Carolling. First we started with a wonderful dinner at the Grill From Ipanema Brazillian Steakhouse. There was all you can eat salads, breads, and veggies and then fresh rotisseired meats carved right off the skewer onto your plate at the table by waiters dressed as Brazillian Gouchos. After dinner we all met at the ship. 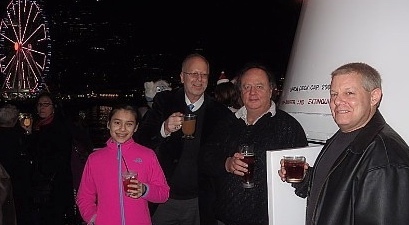 It was a beautiful cruise around Elliot Bay where you could have a warm drink and see the vibrant city lights. The waterfront Ferris Wheel light show was awe inspiring and there were many other decorated boats out for a cruise in the bay as well. Santa Claus was on-board for the kids (young and old) and a quartet of Carolers put on a fantastic performance. If you weren't in the Christmas spirit before the cruise, with the festive lights, Santa, hot drinks, and singing, you cetrtainly were afterwards. 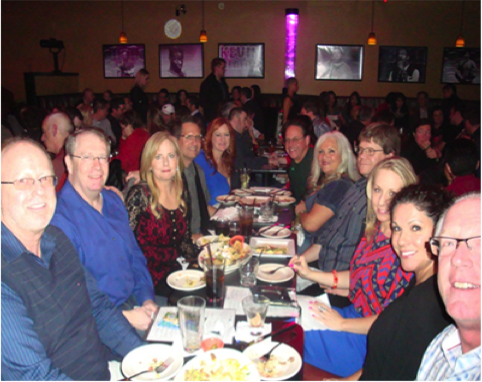 Our 2014 Member's (dates optional) Night Out was held at the Parlor Comedy Club located in downtown Bellevue at Lincoln Square. 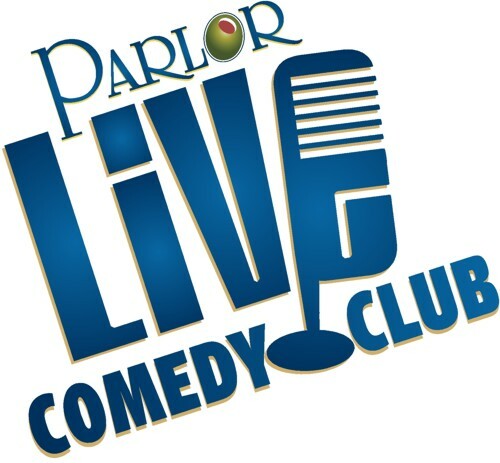 That night the Parlor was hosting a "Valentine’s Weekend" event with headliners comedian Jamie Lee (a cast member of the MTV show Girl Code) and comedian Joe Derosa. We enjoyed an array of appetizers (more than we could eat) and the comedy had us rolling in the isles (but not lieterally). Afterwards, we hung out in the Parlor Billiards Bar for some pool, some laughs, and then the dancing broke out, (and no there was no video posted on YouTube), thank god. But a great time was had by all. 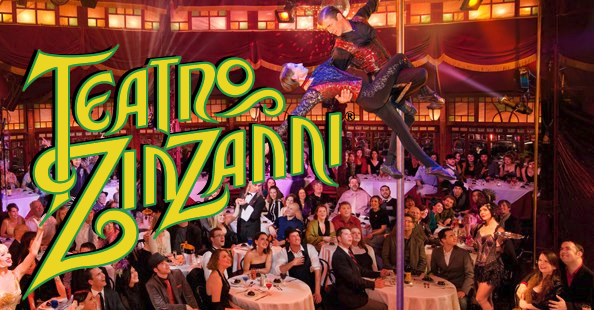 The Pacific NW Section let go of their inhibitions for an over-the-top fun night of dressup and interactive entertainment at Seattle’s Teatro ZinZanni. Teatro ZinZanni combines improv comedy, vaudeville revue, music, circus, dance and sensuality, into an entertainment experience like no other. Included was an wonderful 4 course dinner of Spanish/Mexican cuisine offering unique delights not typically found at a regular resturant serving Mexican style dishes. The theme of the event was iCaliente (very hot). The show was super high energy and amazing, it was funny, exotic and very exciting (if you know what I mean). The show was very interactive, and the audinece was definitely encouraged to participate. In fact, our Tim Burkholder (Mistras Operations Manager) was picked to be a salsa dancer in front of the whole crowd. Of course, Tim was embarrassed at first but then, like the trooper he is, he got into it and everybody enjoyed a good laugh (not at you Tim, with you, really). 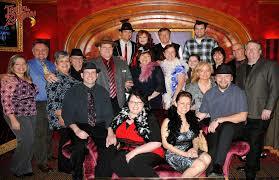 It was a night of unexpected experiences and everyone had a blast of a good time.